BRIGHTON, Mich. - The Ford Early Bird Offer at Brighton Ford is now officially available to current lessees! This is a great deal if you are currently in a lease and don't want to have to wait a few months to get into a new 2013/2014 Ford vehicle. Just because you have a little more time left on your lease doesn't mean you should have to miss out on a great upgrade! 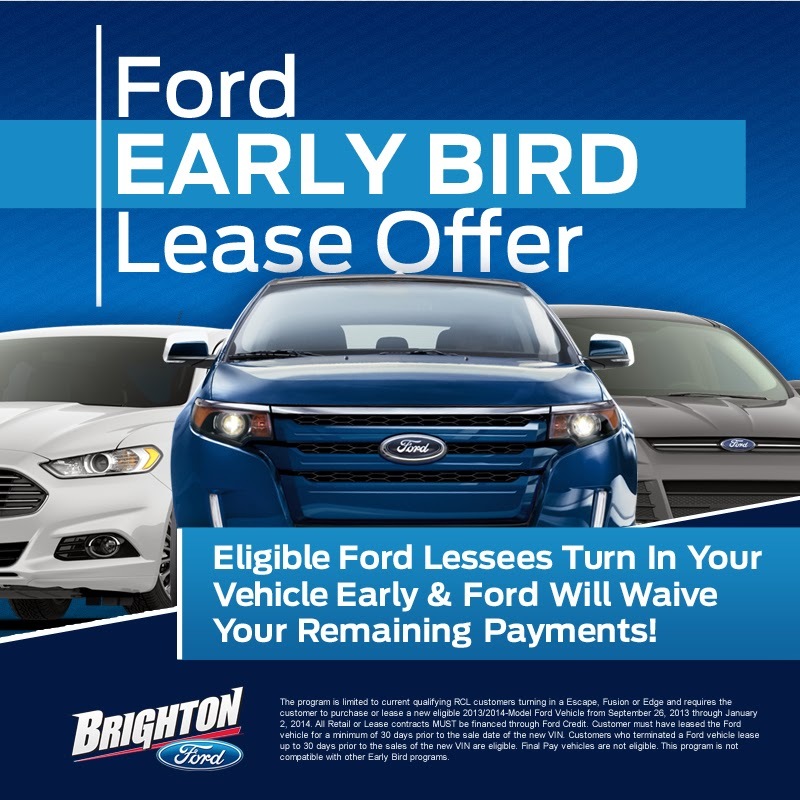 That's why with the Ford Early Bird Offer at Brighton Ford, you can turn in your vehicle early if your lease is scheduled to end between the dates of January 1, 2014 and March 31, 2014. If your lease ends between these dates and you decide to take advantage of this great offer, we will waive up to 5 remaining payments! To learn more about this great offer, stop by our dealership today for details! While you're here, we can set you up with a test drive in one of our New Ford Cars or New Ford Trucks! We guarantee that you'll love one of the great vehicles on our lot. So come on by and let us help you today!